Mum of Five Staying Sane: Salt dough Santa face handprint decorations. 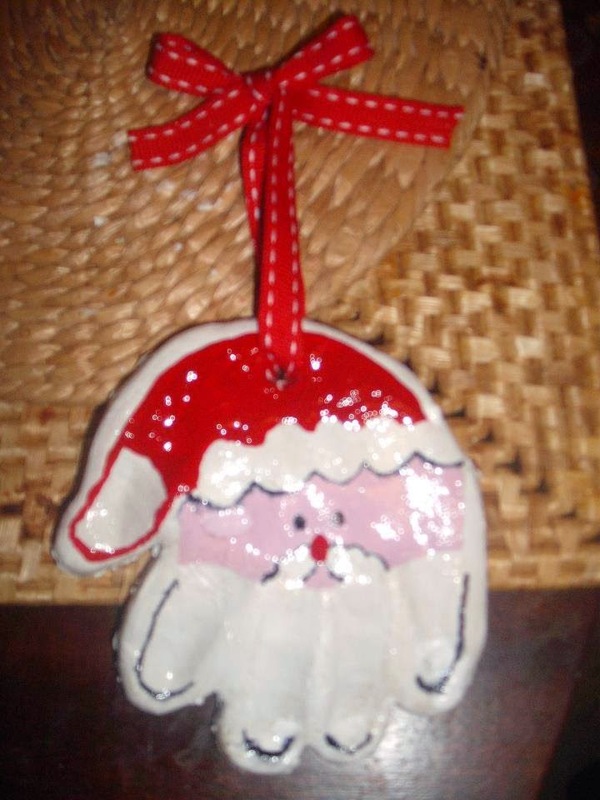 A Christmas homemade craft which is perfect as gifts for the family. 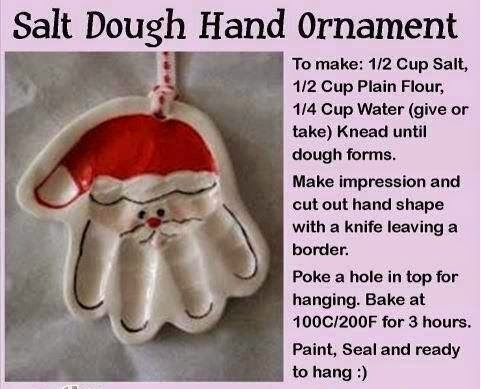 Salt dough Santa face handprint decorations. A Christmas homemade craft which is perfect as gifts for the family. Every year I make sure everyone knows about this lovely little Christmas craft idea early enough to get them done in time! They are so easy to do and very effective. I made my first ones 2 years ago when Thing 5 was just a few months old so some of ours are really small and cute. Ideal for baby, toddler and small children's hands. Ideal for the older children to paint themselves although I did get quite annoyed if they didn't do it quite right so I painted the ones we were giving as gifts. You make up the salt dough and roll it out, not too thin. Press the child's hand into the salt dough and then carefully cut around the hand print shape. Don't forget to put a decent size hole in it for hanging once cooked and painted. I cooked the salt dough as per the instructions above and it cooked perfectly. Leave to cool and then paint as follows. I bought acrylic paints from a local stationers. White, red, black and pink. I painted the back of the hand prints first and allowed it to dry before turning it over and painting the front and around the sides. 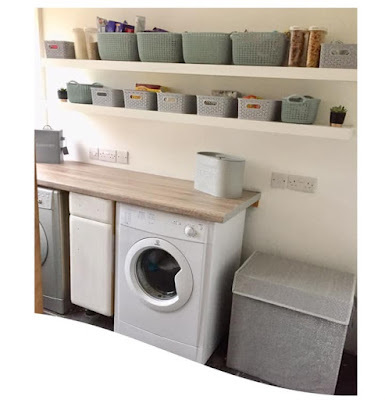 Leave the white to fully dry before painting on the other colours. I did the black lines with a very thin paint brush and black paint as I tried using a black pen but this ran and didn't look good. Once it is all fully dried I used a clear spray varnish to seal it all and give it a nice shine. Finally I found some lovely ribbon in the Christmas section in my local Sainsbury's that I used to hang them. All finished and painted with the Christmas ribbon. They make a fab gift for relatives and it means that each year it can come out as a decoration for the tree, I gave them all a Thing 5 sized one for the tree which was made on his first Christmas. 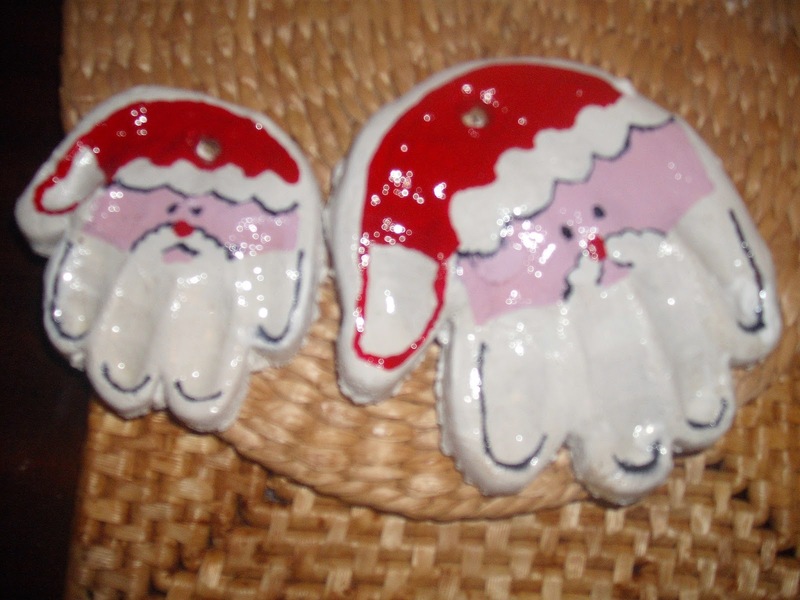 Baby/toddler sized hands make the cutest little Santa decoration. I also found some cellophane bags with gold ribbon in my local pound shop which were ideal as gift bags and I think there were 20 in the pack. So there you have it. An easy yet effective Christmas decoration that the relatives will love to receive when it is lovingly hand made and includes your child/s hand print. 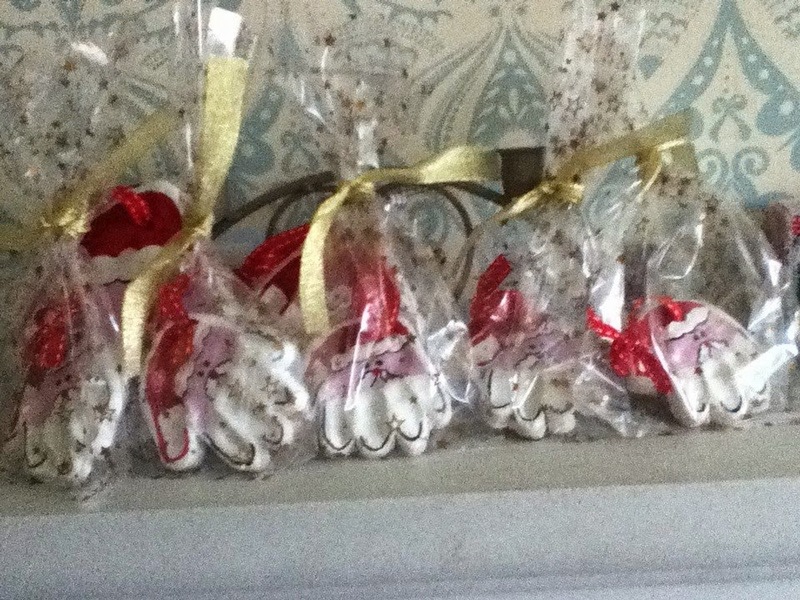 Our Santa hand prints ready and in their gift bags. We tried to make these last year but they didn't look anywhere near as good as yours. I think we'll have to try again this year now they're older. I'm interested in reserving this beautiful place. Placing a music show which does not have cultural preferences becomes difficult in a banquet hall environment. It requires planning and decorating imagination. The venues in Los Angeles have the right décor for any event.